The author musings of Katy N Knight...follow me on Twitter katenicholas007 to hear more of my rants and general over-sharing. Once you've completed your manuscript, it's wise to get people to read it and give you a critique. You can pay for this service but you can also use sites like Inkitt and Wattpad. On Inkitt, for example, you can publish your novel- either the first few chapters or the entire thing- and you can remove it at any time. Inkitt also has anti-copy and paste software to protect your work, as does Wattpad. Both sites also have a 'beta readers' forum where you can ask for people to who read your genre. I have found Inkitt to be the most useful of the two sites. 'Can't I just get my friends to read it?' No, you can't. Here's why... your friends and family may not be as honest with you as they should be. You need brutal honesty. You need someone to point out where you're going wrong and why. Don't be afraid of criticism, as much as it may hurt. Most problems can be fixed with partial re-writes or minor adjustments. Make sure you find at least five strangers to read your work- preferably the entire manuscript. There are also many Facebook and Twitter groups at your disposal for you to connect with fellow authors. I've actually made some good friends this way and we help each other out. 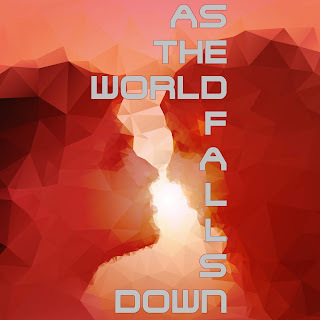 A few months ago, I finished writing a novel called 'As The World Falls Down.' I edited it as best I could and then began to query literary agents. I assumed that the moment an agent read my synopsis, they'd request the entire manuscript and I'd be a published author by the time I was 39 (3 months to go). Yes, it was naïve. But, I blame all those eighties movies where the down-and-out writer pours their heart out over a typewriter, wraps the manuscript in brown paper and string, and then posts it off to a top publisher with immediate success. The publisher then gushes over their work and the author buys a mansion in Beverly Hills in the next scene. Of course, I didn't think it would be that easy. But, I didn't think it would be this hard either. Truth is, like many aspiring authors, I was completely unaware of how the publishing industry works and what it takes to catch the eye of a literary agent. I got a B in GCSE English, but that was like 20 years ago. The English language has changed since then...okay it hasn't really, but chances are you'll need to refresh your memory on a few things. 'What things?' I hear you cry. Well, for example; how to properly use punctuation (google em- dashes), what punctuation to avoid (semi colons, apparently), when to use a paragraph, when to indent a paragraph, sentence structuring (have you started to many sentences with an 'I'? ), perspective filtering... and so on. So, what are your options? Well, you could buy a book on editing and do it yourself. Or you could hire a professional editor. Whilst it can be expensive, you don't necessarily have to get the entire manuscript edited. You could just have the first few chapters done and follow that example.